Commercial Law in Hong Kong - everything a commercial lawyer needs to know about security over property. 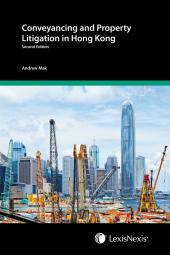 Since the first edition, Land Law in Hong Kong has emerged as the leading work on the subject in Hong Kong. 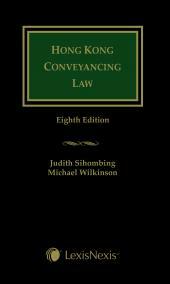 The text explains key concepts of property law and the conveyancing process. It covers all essential topics, including major forms of acquisition, the protection of ownership or interests in land, leases, licences, easements and mortgages. This book contains extracts from numerous sources including judgements, academic writings and statutory provisions which focus on the core rationale behind the law and provide a convenient reference. With six years having passed since the previous edition, the authors have taken the opportunity to reorganise the book to bring out the connection between Proprietary Estoppel and Trusts. The latest recommendations of the Hong Kong Law Reform Commission on Adverse Possession have also been included. In this practitioner focused version of the title, chapters on Successive Interests, Rule Against Perpetuities, and Multi-Storey Building Management have been retained in this fourth edition. SH Goo has contributed extensively to the Halsbury's Laws of Hong Kong series in the areas of Trust, Landlord and Tenant, Land Registration Ordinance, and Landlord and Tenant (Consolidation) Ordinance.